1) Castille – Bandé de gueules et d’argent de quatre pièces au chef d’azur ch d’une fleur-de-lis d’or. English: Bendy gu.and ar., four pieces, on chief az. a fleur de lis or. 2) Azure, three spoons palewise between three crescents, all Argent. This name developed as a habitational surname denoting a person from any of several places named Padilla, from the Spanish word padilla, meaning “frying pan” or “bread pan”, a word ultimately from the Latin or Roman word patella, meaning “shallow dish”. It is believed the towns/villages were named Padilla due to their its land having a slight depression in elevation, like the dip of a frying pan. An alternate theory is the name referenced to the hot temperate of the location. Such places are located in Burgos (there is a city named Padilla in Castrogeriz), Valladolid, and Guadalajara. The Padilla surname first established itself in the Kingdom of Castile, a powerful state located on the Iberian Peninsula (modern day Spain) during the Middle Ages that existed between 1065-1230 AD, and existed as the County of Castile beginning in the 800s AD. Spelling variants of this name, or names with similar origins/etymologies, include Paddilla, Padiila, Puadilla, Paadilla, Padula, Padilha, Pattillo, Padillo, and Patillo. One of the earliest recorded bearers of this surname was Godoy Padilla who was born in 945 AD. He married a daughter of the Rodriguez and Benavides family and had a son with her named Ruy. This son, Ruy Diaz Padilla, was born around 1000 AD. He married Elvira Biedma and had a son with her named Diego Nunez Padilla. Diego’s grandson was Gutierre Padilla who was born in 1133 AD. Father Juan de Padilla was born in 1500 in Toledo, Andalusia, Spain. He was a Roman Catholic missionary who spent many years in North America with the famous explorer Francisco de Coronado known for his expeditions through the southwestern United States. He died in 1542 in what is now Kansas. According to this website, “Pedro de Padilla, from Burgos, settled in Vergara in Guipuzucoa. A descendant of Pedro de Padilla later moved to Viscaya where his family were ennobled.In 1647, one Antonio Garcia de Padilla of Valencia in Southern Spain was awarded a military honour by King Philip IV”. The last name Padilla ranks 345th in popularity in the United Status as of the 2000 Census. The name ranks particularly high in the following six states: New Mexico, California, Arizona, Colorado, Nevada, and Texas. Padilla ranks in the top 300 names in each of these states. In Spain, the name ranks 156th. In Portugal, it ranks 7,402nd. The surname Padilla frequency/commonness ranks as follows in the Latin and South America: Mexico (79th), Panama (288th), Colombia (167th), Honduras (31st), Venezuela (213), Argentina (391st), Nicaragua (100th), Ecuador (184th), Cuba (329th), Peru (178th), Chile (283rd), Bolivia (83rd), Uruguay (598th), Paraguay (3,871st), Guatemala (179th), Dominican Republic (197th), Costa Rica (146th), Puerto Rico (81st) and El Salvador (201st). It also is present in Asia, where it ranks 42nd in the Philippines. 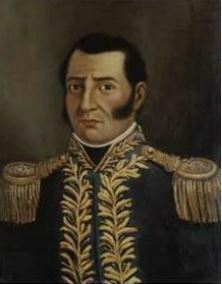 Ignacio Padilla was born around 1780. He married Antonia Marquez and had a son with her. This son, Hilario Padilla, was born in Jalisco, Mexico around 1800. In 1820, he married Merced, dauhger of Jose Joquin Gurierrez de Laris, and had a son with him named Juan. Juan Neopmuceno Padilla was born in Carizo, San Juan de los Lagos, Jalisco, Mexico in 1832. In 1857, he married Maria Sabas Gutierrez and had a son with her named Ramon. Ramon was born in Jalisco in 1868. In 1895, he married Paula Munoz and had a daughter son with her named Jose. Jose Refugio Padilla was born in the 1910s. Some of the earliest bearers of this name who came to the new world were Gregorio Padilla Villalbos and Hernando de Padilla, who arrived in 1512 and 1517, respectively. 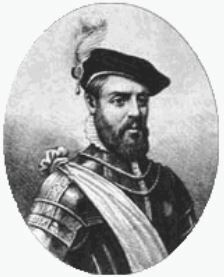 In the coming decades, several more members of the family were documented as arriving: Rodrigo Padilla (Cartagena, Colombia 1535), Luis de Padilla (Peru 1579), and Diego de Padilla (Pero 1592). 5) Heberto Padilla (1932-2000) who was a Cuban poet that was imprisoned for criticizing the government, having supported Castro early on, but changed his mind in the 1960s and 1970s. 8) David Padilla Arancibia (1927-2016) who was a military general who served as the 64th President of Bolivia from 1978-1979, born in Sucre, Bolivia.